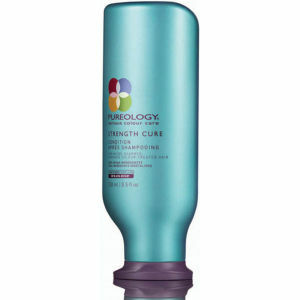 Gently cleanse hair without stripping its colour with PUREOLOGY Hydrate Shampoo. Its organic moisturising formula will hydrate dry, colour-treated hair to reveal soft, lustrous locks while protecting colour vibrancy. Surfactants are an essential part of a shampoo’s cleansing system, but many common surfactants, known as sulfates, can fade colour vibrancy. 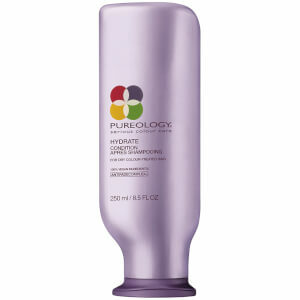 PUREOLOGY Hydrate Shampoo is formulated with ZeroSulfate, a mild cleansing system that won’t strip hair colour. Derived from coconut, corn and sugar it delivers a rich lather and helps optimise colour retention. Love the mint smell in the shampoo but this shampoo dries my hair out. 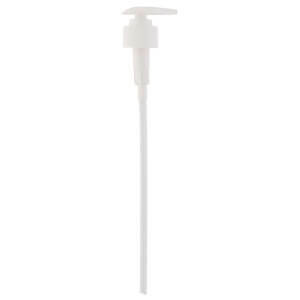 Read lots of lovely review about how it hydrates your hair but it has done nothing to my hair. Honestly blown away by this product! I have thick and unruly hair and this has not only nourished my hair but made it more manageable also. It doesn’t leave an oily residue either, even when teamed with the hair mask from the same range. Another bonus is that it lathers up amazingly, so no need to use copious amounts...an all round winner! I have been using this shampoo for almost a year now. This is the first sulfate free shampoo that thoroughly cleanses my oily scalp. The shampoo does need to be used twice for me but I always double shampoo, by the second shampoo it lathers up nicely and my hair feels so clean! It doesn't leave my hair feeling striped like some shampoos can do and it is easy enough to comb through before applying masks etc. I have bleached blonde hair and was searching for a good shampoo for ages and this one works well for me. I have extensions and this is the best shampoo to use, I won't use anything else. The conditioner is fab aswell very minty, leaves hair in great condition. Thrilled with this product. Delivers resilts with a wonderful fragrance. Very minty and quite overwhelming as you can feel it very cold on your hair when it’s on but over all good product and works well. Since last summer, despite always using shampoo for coloured hair since it needed colouring to hide grey, I have found my colour fading more quickly and to a larger extent, especially at the front. I read about the Pureology range on the lookfantastic website that my sister had used and recommended. Their hydrate shampoo lathers nicely and leaves my hair feeling soft, clean and loved! I am getting my hair re-coloured next week, so having just ordered it, I couldn't resist trying it out immediately rather than waiting until after my colour was 'fresh' again. I really liked it and would recommend it.. I am very excited to see whether once the colour is re-done, it will maintain and hopefully prolong the colour, which was my reason for trying the Pureology hydrate range. The only reason I haven't given the shampoo a 5* rating is because having read it had a gorgeous mint fragrance, I find the rosemary in it is the prevailing smell. Not overpoweringly, but I find once the absolutely gorgeous hydrate conditioner is used on the ends of my hair, which really does smell super-minty and good enough to eat, it instantly feels like silk. It's quite unbelievable. I would recommend both products and will definitely buy again. Thank you! This shampoo is absolutely brilliant. You can really feel the hydration from the first wash, would definitely recommend the conditioner too, it smells fantastic! My hairdresser recommended this to me along along the the pureology repair conditioner. After using it just a couple of times my hair feels amazing. Would definitely recommend!